Irrigate your farm at fraction of cost with virtually clog free maintainence resulting in higher crop yield and 70% water saving. 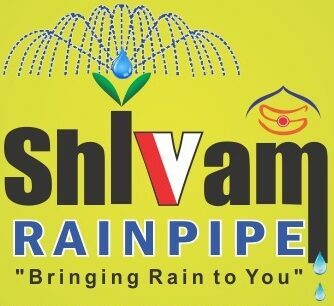 Shivam rain pipe act as substitute to mini sprinkler. It wets the surrounding farm area like natural rain. It is an excellent irrigation spray tape with laser punched holes in zig zag pattern. 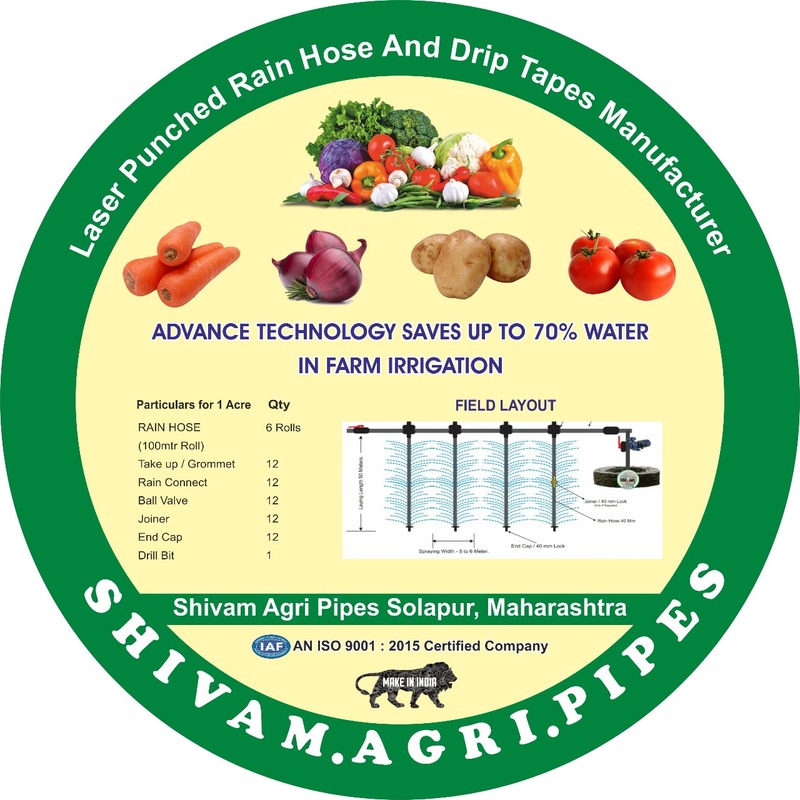 Shivam drip tape is low cost alternative to traditional drip irrigation. It has additional advantage of clog free maintainence. It has uniform jet like water flow due to laser punched holes. 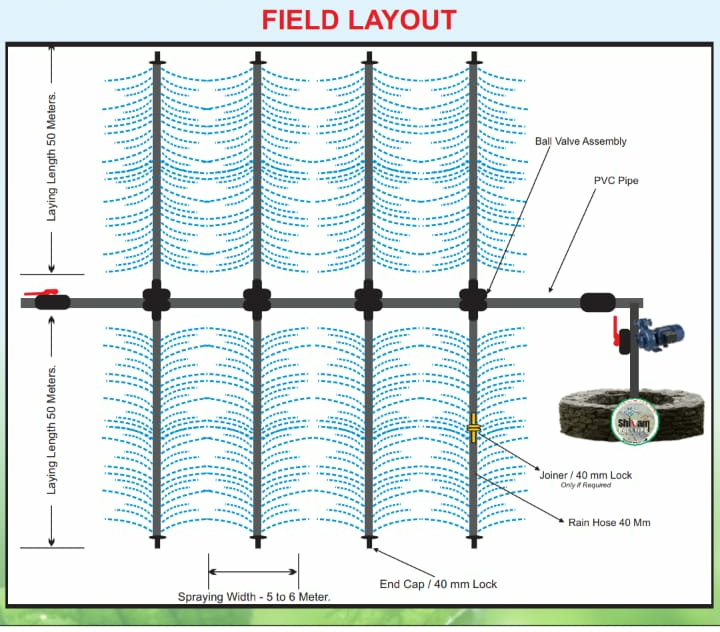 This technology help farmers to prosper by using water efficiently. It helps increase their crop yield at one fourth cost of traditional drip irrigation system. Instead of using complex emitters, Shivam drip employs laser punched holes in plastic tubing. It deliver water in jet stream form at uniform rate across the farm. The advantage of laser punch holes over mechanical punch holes are uniform water discharge, low clogging incidences, higher durability of tubing. 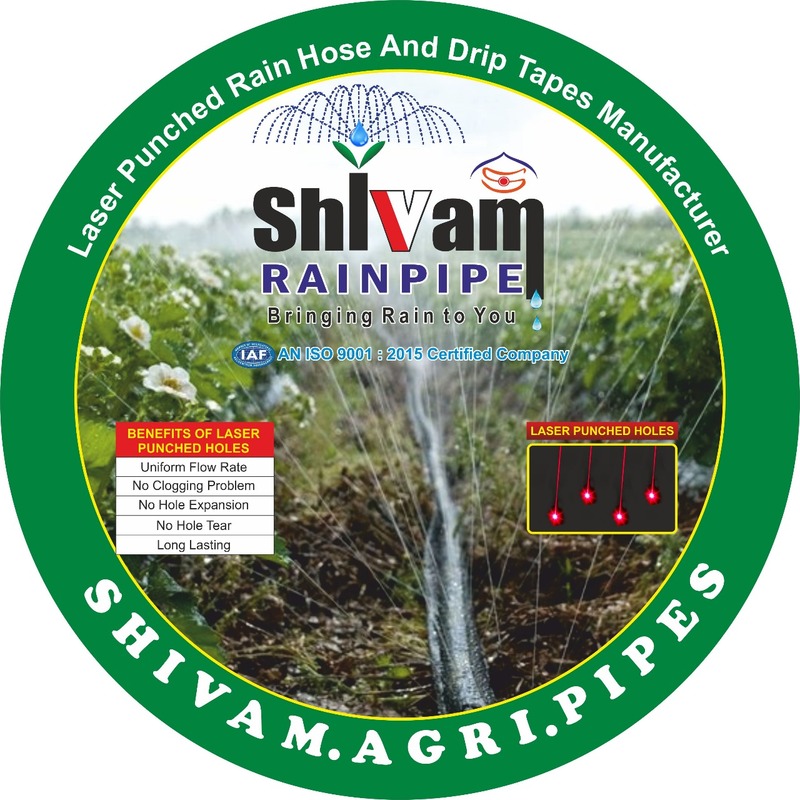 Shivam rain pipes irrigate the farm land like natural rain and is cheaper alternative to traditional sprinkler system. They have laser punched holes in zig zag pattern for uniform water flow. Please Call /WhatsApp us to get in touch with our sales representative to help us understand your requirements and recommend an appropriate solution.